Today we have some excellent news. 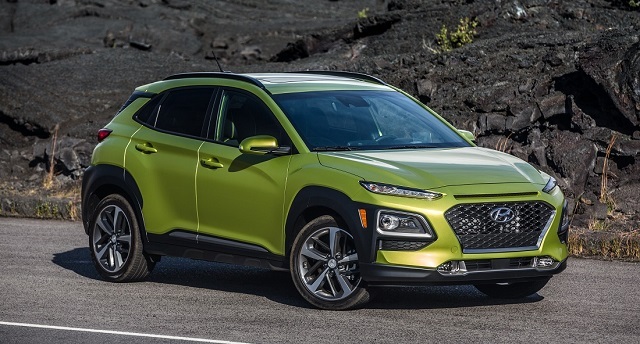 Although the current model year has recently been revealed, the manufacturer is working of the newest 2020 Hyundai Kona. However, this time the new Kona should bring some new exterior colors, new designs of the wheels, and upgraded interior with new materials and more standard features. On the engine front, there will be two conventional units but the carmaker will also offer an EV version of this model. Since it is relativity new model on the market, the 2020 Hyundai Kona should return with the same engines as the current model. So, depending on a model it will arrive with two engines. Therefore, the SE and SEL versions will be powered by a 2.0-liter inline-4 unit which has the output of 147 hp and 132 lb-ft of torque. It will work with a 6-speed automatic transmission and the front-wheel drive is standard. However, the AWD configuration will also be available. The FWD model gets 27/33 mpg while the AWD variant gets 25/30 mpg. The Limited and Ultimate models will get a 1.6-liter 4-cylinder turbocharged engine. This one will be able to make 175 hp and the torque of 195 lb-ft. It will pair with a 7-speed dual-clutch automatic transmission. It will also be offered with front-wheel and all-wheel drive configurations. Connected to front wheels, it is rated at 28 mpg in the city and 32 mpg on the highway. The all-wheel drive model will get 26 mpg in the city and 29 mpg on the highway. On the other hand, the 2020 Hyundai Kona will also be available with as an EV variant. So, it will use a 150 kilowatt electric motor of 201 horsepower and it will also have a lithium-ion battery of 64 kWh. The all-electric range of the Kona EV will be up to 250 miles and the front-wheel drive system will be standard. The Kona features a unique but very handsome styling which makes it stand out from the crowd of other SUVs. So, since it is relatively new on the market, the 2020 Hyundai Kona might get some subtle changes such as new wheels or colors. The front end wears the black mesh grille and headlights with narrow LED daytime running lights. The cabin of the 2020 Hyundai Kona will remain handsome and interesting. The front seats will be excellent: cozy and supportive, while the rear seats might lack a bit in legroom. The standard equipment of the 2020 Hyundai Kona will include a 7.0-inch touchscreen for the infotainment system, two USB ports, Bluetooth, cruise control, Apple CarPlay and Android Auto connectivity, cloth seats, a rearview camera, keyless entry, automatic headlights, etc. For now, there is still no precise date of the arrival, but we assume that the 2020 Hyundai Kona might arrive in the end of 2019. The price is expected to be in a range of $21,000 to $31,000.